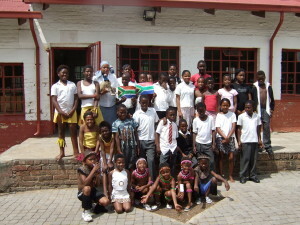 Belle Primary School had been selected as the site for the South Kids activity of the gathering in Soweto. It is situated just next to the Hector Petersen Museum and its staff seemed very keen to be part of the event. The passion of their involvement took most of us by surprise. Be so kind to open the gates, and allow our visitors in. Thank you, if you allow, with your blessings then in they’ll come. They sang this over and over with increasing intensity. Down through the centre came a group of young boys in gumboots, who performed an energetic dance for us. 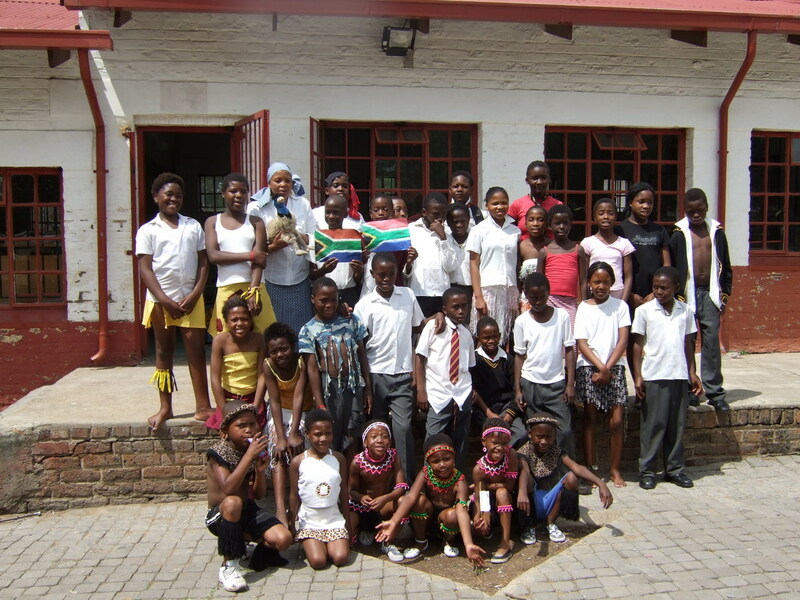 They then jogged back and soon came a party of little children in traditional dress waving South African flags. 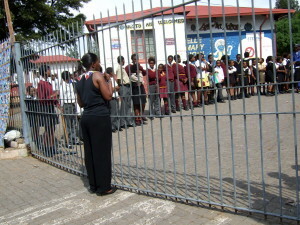 They opened the gates and took each of us by the hand into the school, as the corridor of learners continued their song. Eventually we made it to a verandah where we were formally greeted by the Principal. She explained to the students that they were honoured by these visitors from the other southern countries, including Australia. The learners replied in perfect chorus, ‘Good morning Principal, Educators and Visitors’. 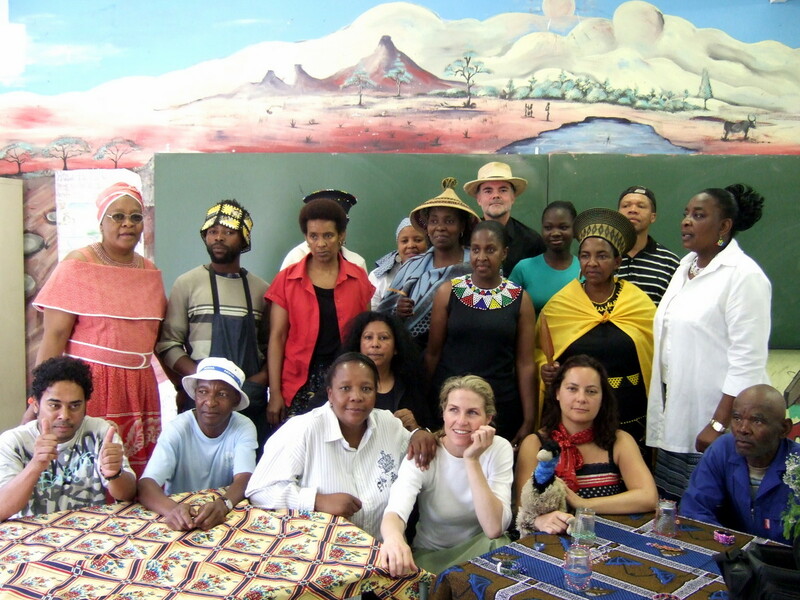 Each of the educators had come dressed in a traditional costume, including some beautiful Shweshwe prints and a gloriously beaded Zulu outfit. 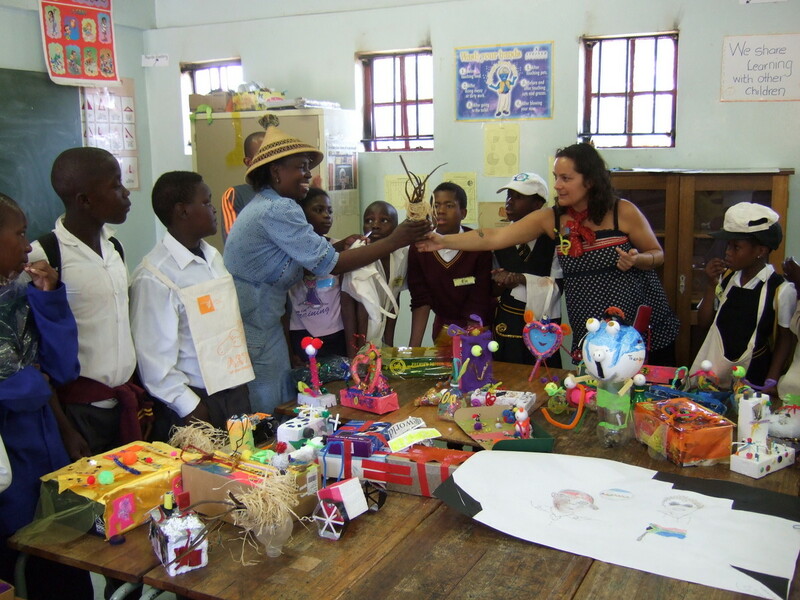 We were then led to the classroom where Sara Thorn explained to the children the idea of the art class. They then crowded around my laptop to watch a short film from ArtPlay, where Vicki Shokoroglou told then how the Melbourne children had prepared works for them to use. 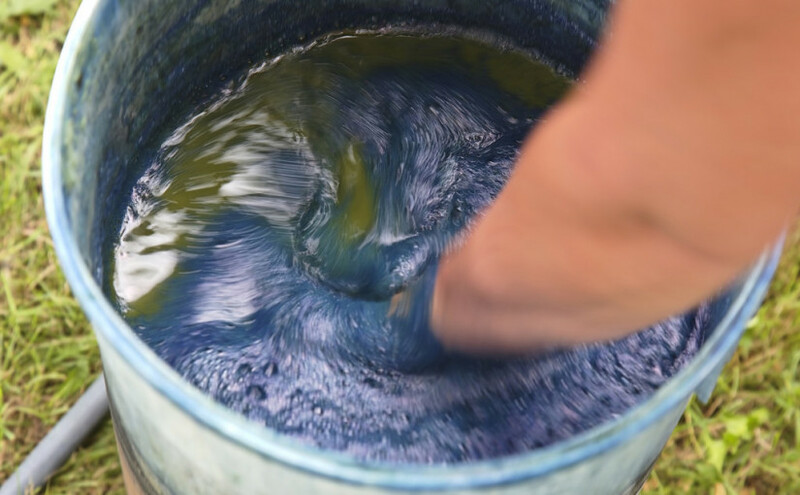 The children then returned to their desks and started drawing – whatever they felt like. Once they had each made their drawing, they then stood up and explained to the class their drawing and what they would then made with the materials. We then had representations from other classes that they wanted to participate, so we squeezed some more in. The children then raided the amazing stock of materials that had been gathered by the artists yesterday with Prince Massingham and Clifford Charles. The Principal then invited us into her office for lunch. There was a huge spread of samosas, sausage rolls, roast chicken, cold meats, tomato, lettuce, cheese and cake. Before we started, the Principal explained the concept of Ubuntu and how important it was in African custom to treat the guest well. As fits the tradition, she waited until we had eaten before she took of the food herself. A woman called for a small prayer before we began eating, which she recited in Xhosa. Then another woman brought around a small tub of water with towel for each guest to clean our hands. The idea of the south seems to find a natural home in places like the Belle Primary School. It fits quite well their proud history of the freedom struggle and interest in a future that they can play a role in. We then went back to the room and the learners continued their work. They then presented their finished products in a class room and Emma Davies showed her version of the emu, which she gave as a gift to the school. Sara showed the children Australian animals and gifts from ArtPlay and the art supply shop were handed around. 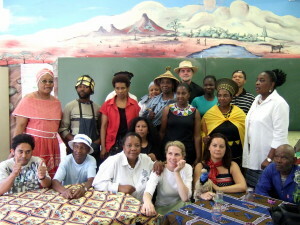 It was hard to feel that we had deserved such amazing welcome from the educators and learners of Belle Primary School. 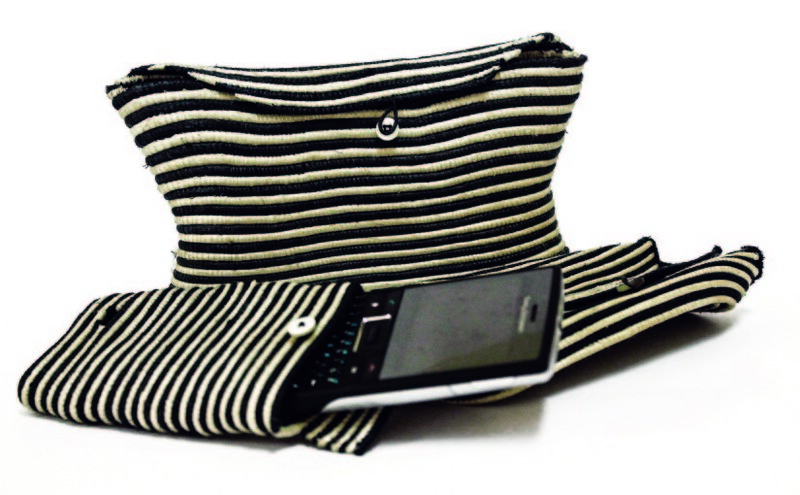 Such days fill you with a kind of Ubuntu capital, and a sense of obligation to find some way of spending this debt. I did learn from the Principal, though, that the school does suffer greatly in winter because they don’t have any heaters in their classrooms. Perhaps there’s a way of raising some money to bring a little warm into their lives — a more benign version of global warming.